It’s hard being a girl and dealing with makeup can be a real struggle sometimes. 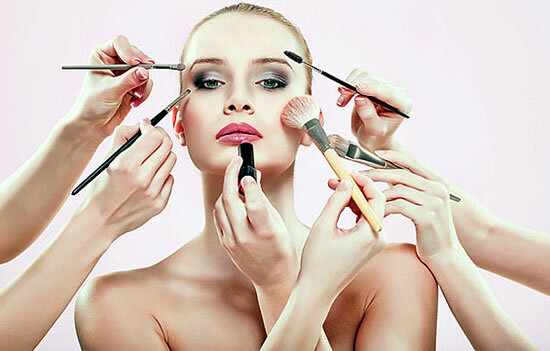 But, here are some life-changing makeup tips you might not know that will make your life a little easier. Use toilet seat covers as blotting paper. Ever run out of blotting paper when your face is super oily? It’s not a cute look. Go to a public restroom and take a seat cover, rip it up into smaller pieces and use it to de-grease your face! Make lipstick last longer with a tissue and translucent powder. It is extremely annoying having your lipstick not staying put…which leads me to one of my favorite life-changing makeup tips. After applying your lipstick, take a tissue and place it over your lips. Then, take translucent powder on a brush and dab it onto the tissue over your lips. Now your lipstick will stay put! Cut open makeup tubes to get every last drop. Makeup packaging can be a real pain, but a great way to get every bang for your buck is to cut open your makeup tubes and scrape out the leftover makeup into another pot. Revive your mascara with eye drops. If your mascara gets dry and lumpy, put a few squirts of eye drops into the tube. It’ll liquefy the mascara so you can keep on using it. Match your foundation to your neck. To avoid your face being a different color from your neck, test foundations on your neck and NOT your hand or wrist. This will give you a much more natural look.